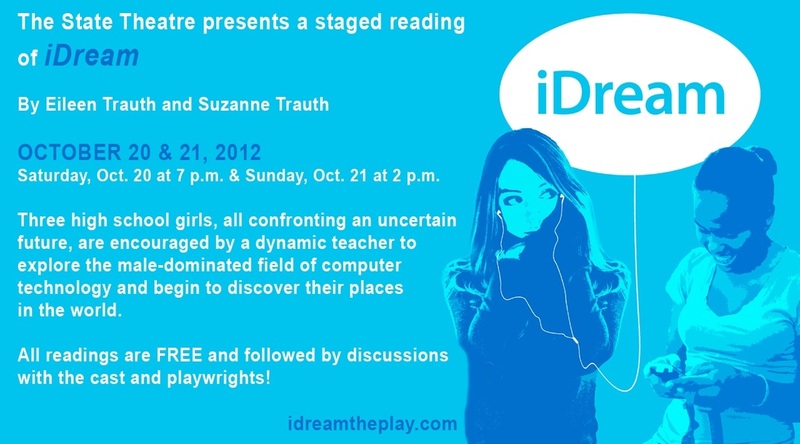 The play iDream is an original play, produced to tackle the ongoing issue of women being significantly underrepresented in technological fields such as information technology (IT). iDream communicates, in dramatic fashion, research results about barriers to women in the IT field. The characters, plot, and dialogue of the play come from interviews with women working in the IT field. The characters embody the struggles of those who are marginalized in the IT field by virtue of gender, ethnicity, or socio-economic status, but who seek inclusion and equality in the information society. The main idea of this production is to use dramatic means to make more accessible to the public the results of scientific research about barriers to inclusion in the IT field, embody constructs of data-driven theory through the characters, plot and dialogue of the play, and lastly to address the gender imbalance in the IT field by creating awareness and motivating change about overt and subtle barriers that are imposed and internalized. The generation of knowledge about structural barriers to social inclusion reported in scholarly publications is generally inaccessible to those not familiar with scientific research. This scientific model of research dissemination leaves little room for the expression of subtlety, nuance, emotion, and holistic representation. In response to this need, a project on theatre of social engagement employs dramatic ways of communicating research findings about the barriers imposed and internalized by women who aspire to technological careers. Because scientific journals cannot accommodate the powerful emotions expressed by women participants regarding gender barriers in the IT field we have developed a creative, dramatic outlet to give voice to research results that would be silenced in conventional publication outlets.